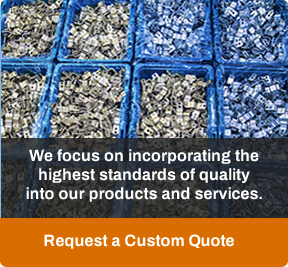 Winzeler Stamping | Automotive Parts – Automotive Stamping | Winzeler Stamping Co. In the automotive industry, speed to market, quality, precision, and cost are all critical factors that determine the success of the relationship you have with your supplier. We understand the stringent requirements of manufacturing automotive components and we work meticulously to incorporate the highest standards of quality into each of our products and services. Winzeler Stamping Company is certified to ISO 9001:2015 and has an ongoing commitment toward continuous improvement and customer satisfaction that is second to none. Automotive stamping is a key market segment of Winzeler Stamping Company and we have a wide variety of capabilities and years of experience to serve the exacting demands of the industry. 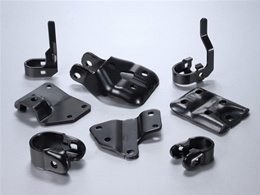 We provide comprehensive contract metal stamping solutions ranging from simple to complex designs and geometries, including the capability to provide heavy duty parts up to ¼” thick. 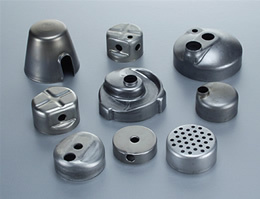 We provide you with a single source for your progressive or transfer die stamping needs, including deep drawn parts. With talented engineering and tool room staffs, we have the ability to design, build, and maintain your tooling in-house and will help you determine the optimum processes and material choice for your application. 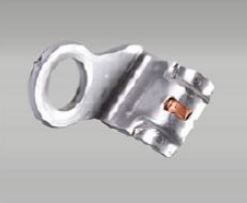 We routinely produce automotive stampings from raw materials such as stainless steel, carbon steels, HSLA Steel, aluminum, brass, bronze, copper, and a variety of other specialty alloys. 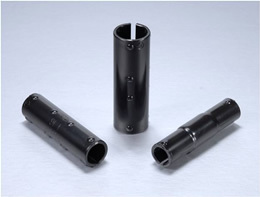 Some of our custom automotive stampings include: clamps, brackets, hose connectors, cans, caps, tanks, sleeves, shells, inserts, accumulators, receivers/driers, deflectors, housings, ferrules and more. View our parts gallery for more examples. If you are looking for a reliable supplier with a partnering attitude, and you would like to take advantage of our automotive experience, Contact Us now. We look forward to working with you to fulfill your part requirements.